Young Inglewood Vineyards is the result of a family's love for wine and for each other. At Young Inglewood, Jacky and Jim, Mary and Scott Young, father, mother, son, and daughter, work together to create wines inspired by our early love of French wine, but made in the Napa Valley - unmistakably grown from our historic St Helena vineyard. Balance is our guiding principle: balance in the way we grow our vines; the balance of tastes and sensations in our wines; and balance in the way we live and work. A modern, well lit tasting room with a modern art collection and homage to the rustic farmhome and barn that were originally on the property. Views of the vineyard and tank room with a covered patio and boules court. 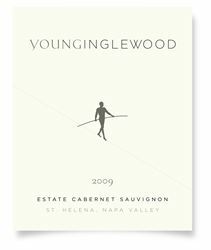 To join the wine club, visit www.younginglewood.com or call 707-200-4572. The Friends of Young Inglewood membership consists of two options. A white wine club of an annual 6 bottle shipment consisting of 2-3 different white and rose wines. The red wine club is two shipments per year. The Right Bank Blend is sent in late February and our Estate Cabernet Sauvignon is sent in the Fall. A minimum allocation of 3 bottles per shipment. Additional wines available only to FYI members. Pour a special wine from our library or single barrel series. Young Inglewood Vineyards is certified under the Napa Green Winery Program by the Napa County Department of Environmental Management (DEM) and the Association of Bay Area Government’s (ABAG) Green Business Program and completed all the regulatory components needed for environmental sustainability. These components included developing water and energy conservation methods, preventing pollution, and reducing solid waste. In addition to developing sustainable winery practices, this program is set to become the standard for the state of California. Young Inglewood Vineyards is certified under the Napa Green Certified Land Program. Young Inglewood Vineyards has created and implemented a customized farm plan with measured results that addressed all aspects of its property, vineyard land as well as non-farmed land, including practicing soil conservation, water conservation, stable drainage, riparian corridor enhancement, fisheries and wildlife habitat enhancement and long-term improvement and sustainability.